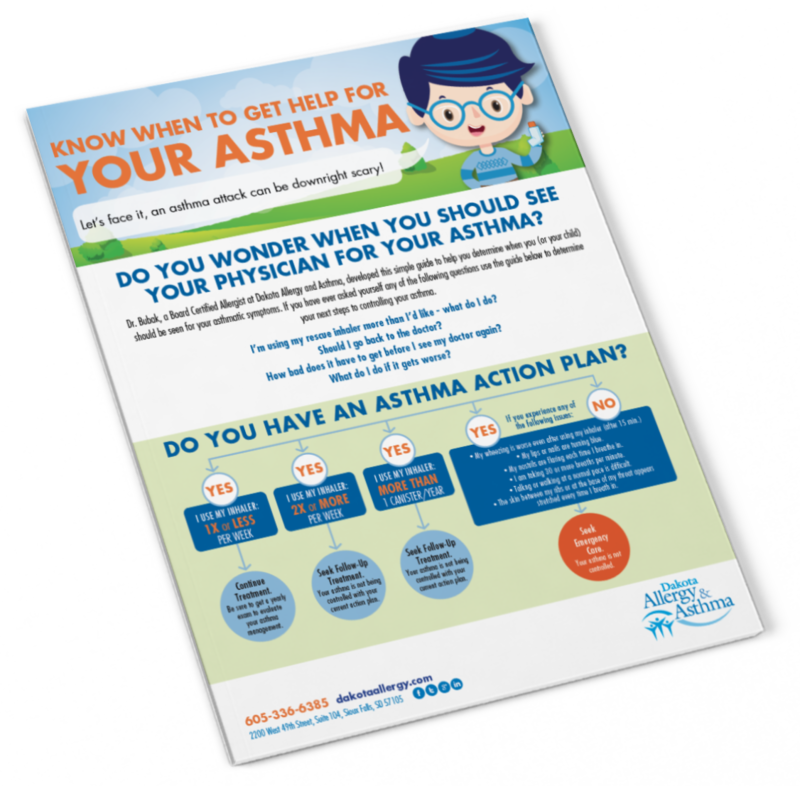 Download “Know When To Get Help For Your Asthma” Now! Let's face it, an asthma attack can be downright scary! To make things worse, not knowing what's triggering the attack is even scarier! Likely you or your child are keeping your asthma journal, following your asthma plan and using your rescue inhaler. Do you find that you are still using your rescue inhaler more than you'd like? There are probably so many questions floating through your mind. Should I go back to the doctor? How bad does it have to get before I see my doctor again? What do I do if it gets worse? If this is you, this resource from Dr. Bubak might help! Don't delay! Asthma is nothing to mess around with. You can live a normal live with your asthma controlled.